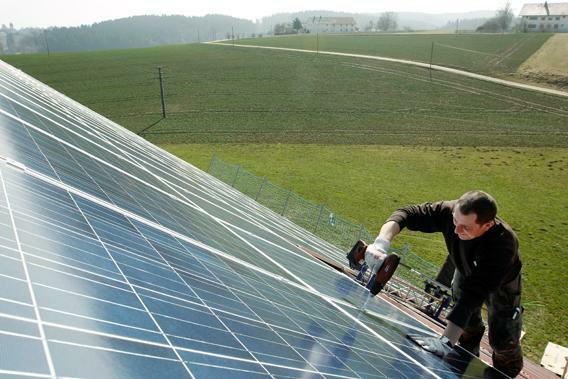 Solar power in Germany: How a cloudy country became the world leader in solar energy. A worker mounts solar panels on the roof of a barn in Binsham, Germany, in March 2012. With a long history of coal mining and heavy industry and the aforementioned winter gloom, Germany is not the country you’d naturally think of as a solar power. And yet a combination of canny regulation and widespread public support for renewables have made Germany an unlikely leader in the global green-power movement—and created a groundswell of small-scale power generation that could upend the dominance of traditional power companies.